As a result, the Tories have been left in the posture of an abused partner—offering an endless mea culpa that only empowers their abuser further. The same tendency is visible across a much wider range of social issues. In an effort to placate the transgender lobby, plans have been announced to remove the “gender” field from the next national census. Meanwhile, the government has also asked doctors to quiz patients on their sexuality—ostensibly to comply with an act of Parliament passed seven years ago. A “Race Disparity Audit” was recently published that drew criticism for sowing the belief that ethnic-minority youths cannot succeed in a systemically racist U.K. In the government’s most “liberal” move yet, there have been suggestions that returning ISIS fighters will be prioritized on housing lists in an effort to de-radicalize them. Attempting to match the credentials of an opposition party that carries no responsibility to govern is unwise at the best of times. Doing so with an opposition that is also deeply mendacious plays to a strategy designed for the Conservatives’ ultimate demise. The political quagmire is deepened by two further factors. First, a Conservative Party dedicated to aping the soi-disant liberal radicalism of Labour creates the space for the rebound of the right-wing United Kingdom Independence Party (UKIP)—the decline of which has been a rare good-news story for the Conservatives. Second, if the Conservatives eviscerate themselves to the extent of losing power to Labour, the safety of every minority for which Labour claims to stand will be jeopardized. London is already a city where a girl recently suffered three serious yet unrelated sexual assaults while walking home through a Labour stronghold in East London. Every indication is that Labour—already ambivalent about killing ISIS jihadists on the battlefield—would allow returning fighters greater freedom of movement in Britain. That would significantly increase the likelihood of an Orlando-style attack on London’s thriving gay quarter of Soho. Public institutions and quangos will be trampled by a red army of Momentum activists in the atavistic mold of Jared O’Mara. The likelihood of Britain having a third female prime minister will be overshadowed by an unapologetic Marxist patriarchy. Westminster needed to be brought into the 21st century to allow women fully to realize their potential in the body politic. From Queen Elizabeth through to Queen Victoria and Mrs. Thatcher, Britain has thrived under female leadership. At the start of last week, the Conservative Party was delivering this change in an ordered and proactive way via the creation of a proper system of recourse for Parliament as a whole. As usual, those steps have now been overtaken by a desperate rush to prove itself at all costs. 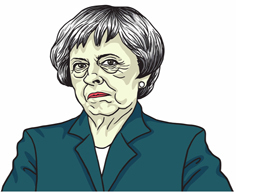 The result is a Conservative government one crisis from collapse—and a United Kingdom brought closer to the real, regressive misogyny of a Labour ascendancy. Please sign this petition if you or anyone you know has been mugged or assaulted in London.